Even though Millennials are a young generation, they already are the driving force for the next generation of brands. This shift in the economy means that brands must start to represent the ideals of this audience. 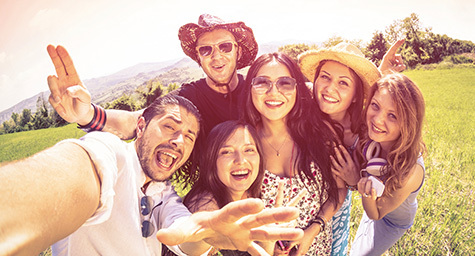 By capturing their attention and connecting on their level, brands can harness the power of this young, thriving market. One of the best ways to reach this audience is through the use of Instagram, because Millennials have a strong desire to share what they experience. They also largely favor experience more than extravagance, so the photos they tend to like focus on life instead of luxury. And Instagram is the ideal way to show their lives through photos. The platform began in 2010, but with its enormous popularity among the Millennial market, it currently has 300 million users around the world. Many digital marketing experts have discovered the power of Instagram and they’ve started using the platform to promote their brands to Millennials. 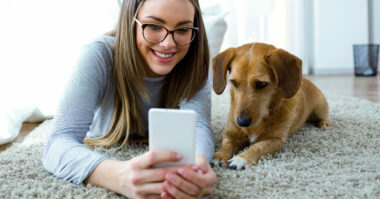 But it takes more than posting photos to connect with this youthful audience, so MarketingProfs.com shared “marketing musts” for making Millennials follow your brand. Millennials don’t want to see print ads on Instagram. They want to see photos of actual experiences. That’s why brands need to be authentic and express their personalities by sharing their missions through photos. Show what a brand cares about or places the brand has gone. Display photos of the lifestyle that captures a brand’s essence. And before posting any photos, take a careful look to see if they appear genuine. Then, only post the photos that feel completely real. Millennials love to get an inside look at everything so they can get a better understanding of the people and products that made it. They want to be part of the experience and discover the stories and secrets behind the brands they admire. This exclusive information will keep audiences engaged and make them feel more connected to the brand in every way. Millennials on Instagram have started pop-culture movements that have grown into phenomena, such as “Throwback Thursday” (#TBT). Brands need to take part in these movements to show that they’re cool with culture and stay relevant to this market. That’s why marketers must stay current on trends on the social Web and then leverage these opportunities to share different sides of a brand. The social Web is extremely connected, so marketers need to cross-promote through the social media landscape. Share Instagram photos on other channels to maximize exposure, as well as encourage other social media users to follow a brand on Instagram. Place ads on Twitter or put posts on Facebook that lead to the brand’s Instagram. And when Instagram users see the brand on other social media channels, it will strengthen brand awareness and show that the brand connects with their interests.